What you need to know about Georgia? Georgia - a multiethnic country with the richest history, beautiful monuments of architecture and picturesque nature, located between the ghats of the Greater and Lesser Caucasus Mountains. There are about 300 mountain, coastal climatic, balneological and mud resorts in a country. Georgia is located at the crossroads of Western Asia and Eastern Europe and occupies the central and western part of Transcaucasia. It is bounded to the west by the Black Sea, to the north by Russia, to the southeast by Azerbaijan, to the south by Turkey and Armenia.Territory of Georgia is mostly mountainous, more than one third cover the dense forests. In the north of the border with Russia is on the main ridge of the Caucasus Mountains, where and are the highest point of the country, the highest of which Shkhara Mountain (5068 m). Lesser Caucasus mountain range runs along the South Georgia, the highest points do not exceed 3,000 meters. The climate of Georgia depends on the region. In the west, the climate is subtropical, and in the east goes across from subtropical to temperate. In spite of the fact that large influence on the climate of country is rendered by mountains the warm air from the Black Sea reaches the remotest areas of Georgia. The average temperature in January is kept in the range from +3 to +9 C in the Colchis Lowland in Adjara, and does not go down below -2 C in the Iberian Basin. However, in mountainous areas, temperatures can fall up to -16-20 C. During the long summer, the weather is mainly hot, and the average temperature in August is +23 C +26 C for almost the entire territory of Georgia. The maximum precipitation level is in autumn and winter. Snow falls mainly in the mountainous areas in November and does not melt until the late spring. The climate of Georgia is favorable for year-round recreation and treatment, there is a constant abundance of fresh fruits and vegetables. Orthodox Christianity (Georgia - one of the first countries to adopt Christianity as state religion in 337 AD), there are Muslims, Catholics and others. The only official language in Georgia is Georgian. To communicate with foreigners English language is accepted. Majority of the population understands Russian well. On the territory of the Republic of Georgia the national currency "Lari" is adopted (GEL). One Lari is equivalent to 100 tetri. The currency was issued in 1995. There are 1, 2, 5, 10, 20, 50, 100, 200 Lari banknotes in circulation. Georgia has a lot of banks. Many of the Georgian banking operations are conducted from 9:00 to 19:00. The U.S. dollars are widely used in Georgia (especially in the private sector). Therefore the exchange rates are very topical. Many banks offer this service. In many cities, in addition to banks, there are special exchange offices. Money also can be exchanged at private exchange point, but remember that the risk of being cheated is great! Therefore, we recommend you use the services of legal organizations! 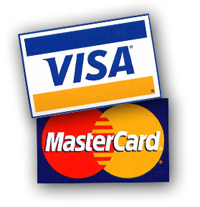 In the capital of Georgia - Tbilisi, in addition to U.S. dollars and GEL, credit cards such as VISA, Eurocard, Mastercard, Cirrus and Maestro are used too. Basically, they can be used in some luxury hotels, large shops and banks. In other places you will have to pay by cash! Import of foreign currency is not limited, but import of national - not more than 25,000 GEL. The export of imported foreign currency during the year from the date of entry is permitted, the export of national - not more than 3000 GEL. The import of arms and explosives, drugs, literature tarnishing the political system, some types of videos is forbidden. The export of items of historical and cultural value is also prohibited. The most popular Georgian resorts are Batumi, Kobuleti, Borjomi, Bakhmaro, Bakuriani and Gudauri. The monastery of Saint David, built in the VI century is Tbilisi, the Sioni Cathedral built in the V century are very popular among tourists. And, of course, do not forget about famous Georgian museums that will guide you along the pathway of history of these friendly people. Georgia is also famous for its mineral springs. There are 22 main sources of mineral water on the territory of Georgia, the most famous of which are "Borjomi", "Likani", "Sairme", "Nabeghlavi" and etc. Georgia delivers its healing mineral water in over 25 countries worldwide. There are three international airports in Georgia, located in Tbilisi, Kutaisi and Batumi. Domestic flights are carried out between Tbilisi and Batumi. Railway reports are among: Tbilisi, Gori, Borjomi, Akhaltsikhe, Valais, Kutaisi, Kobuleti, Batumi, Zugdidi, Gardabani, Sadakhlo. You can also move to major cities by buses. Taxicabs ply between the resort areas and airports. If you want to move more freely around the country, not tied to a particular route, in a car with or without driver, the company «Geo Rent Car» will provide a car rental service in Georgia. Food for Georgians - is not just an ordinary meal, it is one of the most important trait of Georgian culture. Georgian cuisine has retained a certain traditions of its people. Many dishes of Georgian cuisine are meaty. Among them are such dishes as the Georgian shashlik - "mtsvadi", Georgian dumplings flavored with aromatic spices lamb - "khinkali", ham dish - "Lori", smoked Georgian sausages and much more. After all, the Georgians cannot imagine a meal without fresh herbs, fruits and vegetables! So greens are necessary for every dish of Georgian cuisine. Georgian cheese deserves special compliments. You cannot imagine Georgians love cheese! Cheese, like the herbs, is used as an ingredient in practically every Georgian dish! The most famous cheesy dainty is a tasty cheesecake - "khachapuri" so well known to all! Wine - that's why people around the world like Georgian cuisine! It is a real national pride of Georgians! After all, here in Georgia, the culture of grape growing and winemaking emerged. This may be proved by some of the findings made by archaeologists. Science had proven that even in the VI century BC, people who lived in these places, were producing wine. Georgian wine is something special! It is not like wine in other countries. Unlike France or Italy, the wines are aged in Georgia not in glass bottles but in a special jars - "Kvevri." Mainly because of this, the Georgian wines have a unique and original taste! Here are some brands of Georgian wine - "Kindzmarauli", "Manavi", "Mukuzani", "Tsinandali", "Alazani Valley", "Akhasheni", "Khvanchkara", "Chkhaveri", "Kardanakhi", "Rkatsiteli", etc. If you have such an opportunity, you should try Georgian wine for sure! You will not regret it!